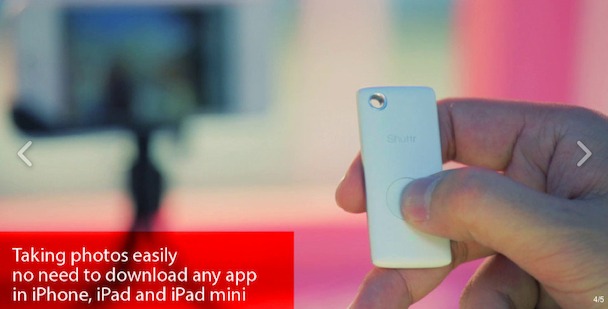 Scarcely larger than a half-stick of gum, the Muku Shuttr lets you shoot Android or iPhone photos or videos of yourself (“selfies”) or a group at a range far greater than arm’s length. 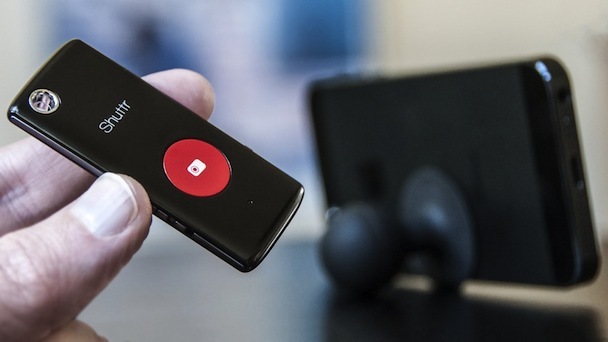 Using this diminutive remote control that’s small enough to carry around on a keychain, you prop up your phone with the Shuttr’s bulbous suction-cup stand, and snap away from distances that reach far as Bluetooth does (around 30 feet). I tested a prototype Shuttr with an iPhone 5, and found the $29 Bluetooth device to be well-constructed and tiny enough to be called cute. Size does matter in this case, because Shuttr is small enough to have with you whenever you need it. Size does matter in this case, because Shuttr is small enough to have with you whenever you need it. It works as advertised, releasing the phone’s shutter when I pushed its red button. In my testing, it worked with the iOS camera app and the Camera+ app as well, triggering photos (and video on the iOS camera app) from 25 feet away. It can even let you take pictures in rapid succession, as quickly as your phone can. The device triggers the Volume-up control to release the shutter. I’m hoping it might someday work with Instagram and Vine, which must be triggered by tapping an on-screen icon. Those apps’ video capabilities could especially use a remote shutter control, particularly for people who create stop-motion animations. Even at this early stage, it seems ready to be manufactured as soon as its funding period is over on August 9. 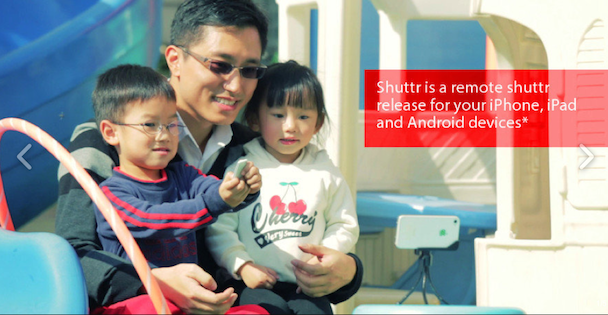 From what I’ve seen of this prototype so far, I think Shuttr will compete well against older remote smartphone shutter-release products such as those from Belkin and Santechi, which are more expensive, much bulkier, won’t work with Android devices and the Belkin model requires an app to function. Let us know in the comments if you think a remote camera control for your smartphone would be worth $29. ( By Charlie White from www.mashable.com ) For more information go to visit the link below.